Point2 Homes gives you far more than a simple list of houses for sale. 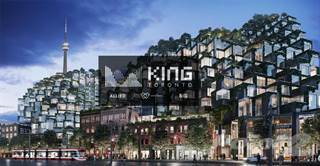 Get instant access to a lot of relevant information about Fashion District, Toronto, ON real estate, including property descriptions, virtual tours, maps and photos. The search results pages also have a wealth of information on Fashion District, Toronto, ON, if you scroll all the way down. 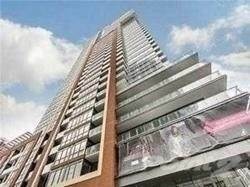 There are 126 houses for sale in Fashion District, Toronto, ON. 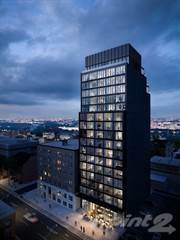 Searching homes for sale in Fashion District, Toronto, ON has never been more convenient. With Point2 Homes, you can easily browse through Fashion District, Toronto, ON single family homes for sale, townhomes, condos and commercial properties, and quickly get a general perspective of the real estate prices. Also, you’ll never miss a bargain if you filter listings based on house price drops in the past six months. Use the map view to find Fashion District, Toronto, ON homes and apartments for sale, based on amenities or city features that you may want close by. You can close in on a specific neighbourhood or area by simply drawing around them with the polygon or radius tools. Stay informed about the latest entries on the real estate market by saving your searches. This way, you get new listings in your inbox, daily or every week, based on your preferences. If you’d like to get in touch with a professional, agents are displayed next to their listings, and they’re easy to contact through the online forms. If you want more options, you can click the Tools tab and Find an Agent, and you’ll get a list of helpful and knowledgeable real estate agents in Fashion District, Toronto, ON. Visit the Point2 Homes blog and you can find up to date expert advice on many markets throughout Canada, regular market reports, neighbourhood scoops in cities throughout the provinces, real estate deals and useful recommendations. The Fashion District in Toronto has a bit of an identity crisis. While many neighbourhoods in the city have a distinct local flavour, the Fashion District is a bit of a mishmash of the characteristics of the neighbourhoods that surround it. Located in downtown Toronto, this neighbourhood is named for the clothing manufacturers who used to fill the warehouses in the district. Now, the area is mostly retail strips and condos, although there remain many manufacturer-direct clothing stores and textile shops. The neighbourhood is sandwiched between Bathurst and Spadina streets, with Queen and King marking the North and South boundaries respectively. The Fashion District is a small neighbourhood, yet it contains a little bit of everything. You’ll see ongoing development down here, as with most of downtown Toronto, but you’ll also see shops that have been here for decades. People from all walks of life work and live in the fashion district. It is one of the true melting-pot neighbourhoods of central Toronto. The Fashion District is a diverse and active community. On the streets, you’re likely to see high-powered Toronto business people, but not only. Shopping in the district ranges from the discount to the designer, so you get people from all walks of life coming to do their shopping in the Fashion District. The general feeling in the area is one of activity. Construction is ongoing, and most of the streets in the area are major arteries with a great deal of traffic. Add in a healthy dose of nightlife in the Fashion District and it feels like the entire neighbourhood is always in motion. There is no shortage of shopping, dining or dancing to be had in the Fashion District. When it comes to neighbourhood hot spots, the Bier Markt’s King West location falls within the Fashion District. With a large patio and one of the best beer menus in the city, this place is almost always busy. Valdez is a local favourite. This restaurant specializes in Latino street food, and has a stunning rooftop patio that overlooks King West. For Toronto burger loves, The Burger’s Priest has a location in the area as well. Tattoo on Queen West is a nightclub and live music venue. Uniun is a typical nightclub with dancing and DJs who keep the music going all night long. These are just two of the many late-night entertainment options in the neighbourhood. If you’re looking for a little culture, Factory Theatre is located on the edge of the Fashion District. This theatre has a countrywide reputation for premiering groundbreaking Canadian work. Finally, there’s the shopping. This brings a great deal of foot traffic to the fashion district, where popular stores like American Outfitters and Urban Apparel appeal to many shoppers. Housing in the Fashion District is mostly restricted to condos. Tare a few townhouses and semi-detached homes tucked into the nooks and crannies of the neighbourhood, but the majority of the housing is certainly condos and rental apartments. Many of the more desirable homes in the area are the lofts in converted warehouse buildings. The old factories and warehouses have almost completely been converted to living spaces, and lofts in these types of buildings are among the most sought after and pricy homes in the Fashion District. Average condo prices in the area fall in the mid-400s. The Fashion District is not a quiet neighbourhood by any stretch of the imagination. Queen, King, Adelaide, Richmond, Bathurst and Spadina are all very busy and noisy streets. Add in the near constant construction and the small size of the neighbourhood overall, and it becomes very difficult to escape noise while in the Fashion District. The high density of residents and foot traffic and the proximity to downtown also make pollution higher here than in more outlying districts. The Fashion District is subject to some of the same higher-crime rates that the rest of the downtown core faces. A high number of nightclubs in the neighbourhood and nearby mean slightly higher assault rates. 2011 CBC Crime Map includes the Fashion District in its “Waterfront Communities” district, which overall has the 3rd highest assault rate in the GTA. The Fashion District does not have many educational options for young people. There is the Oasis Alternative Secondary School, which is a small school that specializes in students having difficulty at traditional schools. Oasis is for high school students, and Alpha Alternative School is the oldest elementary alternative school. However, there are a number of adult education institutions in the neighbourhood. The Toronto Institute of Bartending and Sears and Switzer, an actor’s education studio, are both in the area. Several of the city’s streetcar lines run through the Fashion District. The 501 Queen line runs along the North side of the Fashion District. The King Street 504 does the same in the South. Bathurst and Spadina both have streetcar lines providing north-south transit through the area. The Fashion District is a neighbourhood populated in large part by young people. Like many downtown neighbourhoods, the trend is towards singles, couples without children, or couples with very young children living in the area. The lack of nearby schooling options likely plays a factor in this as well.